Cyprus Youth Council/Συμβούλιο Νεολαίας Κύπρου/Kıbrıs Gençlik Konseyi as a partner of the project “RESTART.eu – Reinventing European Solidarity and Raising Tolerance” is pleased to announce the organization of the two-days training which will be held on 23 – 24 of May, 17:00 – 20:00 at Mills Cultural Centre. 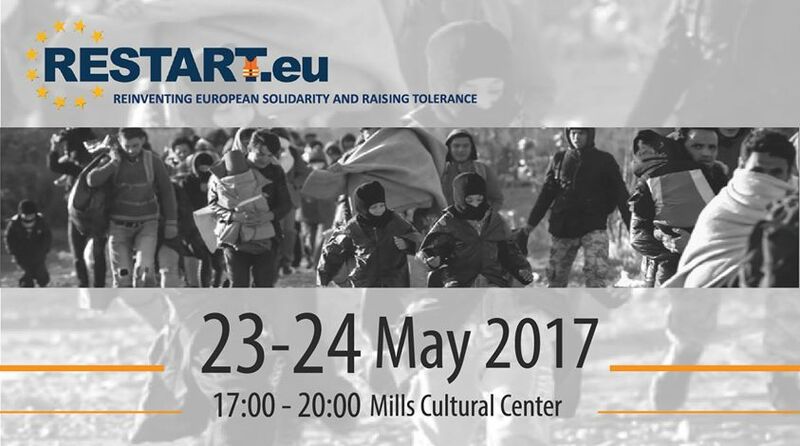 In general the participants will receive a two days training on the Rights of the refugees in Europe and on interactive training methods. The project aims at raising awareness on the refugee crisis that Europe has been facing over the last two years and also to educate the society on Human Rights and Asylum Seekers Rights. Also the participants would have the opportunity to feel the multicultural experience and cultural diversity though the simulation game and the screening of the documentary “Voices of Refugees” After the screening the participants would have the opportunity to discuss with the producer of the film. At the same time a photo exhibition called “ISLAND IN THE SUN – life-experiences from within the migratory communities in Cyprus” will be hosted.